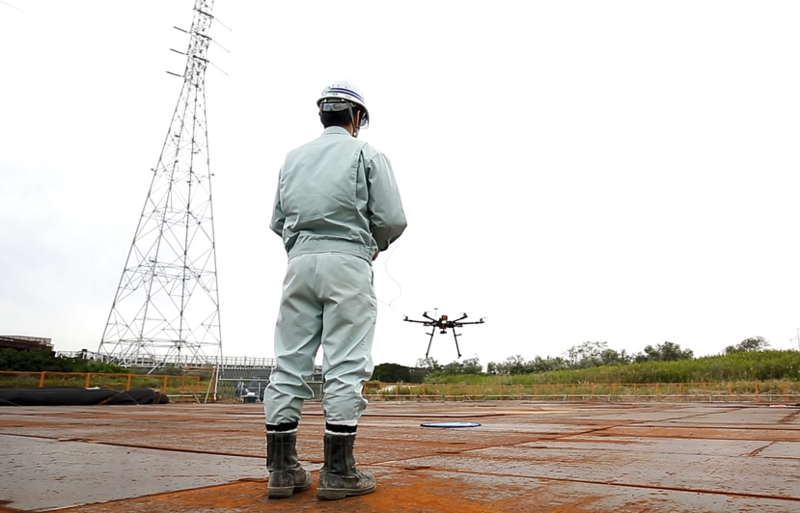 Case Study: Drone Video Communications System in Chuosouden Construction｜Implementation Case Study｜SENSYN ROBOTICS, Inc.
Power lines and steel towers construction that builds steel towers in various places to connect the "Electricity Highway" in the skies. This job requires massive equipment and facilities, as well as a large amount of manpower. As a leading company in power lines and steel towers construction, we take up the challenge for new potentials with early implementation of drone video transmission system offered by V-Cube Robotics. We implemented real time video communications services provided by V-Cube Robotics in order to achieve both the sharing of high quality remote drone images between sites and HQ and the highly accurate communications between drone operators and managers. We also thought of using the communications services for quick decision making when and if disaster strikes by sharing aerial photography data of the disaster sites among relevant parties, in addition to transmission from remote locations for normal overhead power line inspections. How do we effectively maintain and manage the "Electricity Highway" that we have taken a long time to build stretching high into the skies? 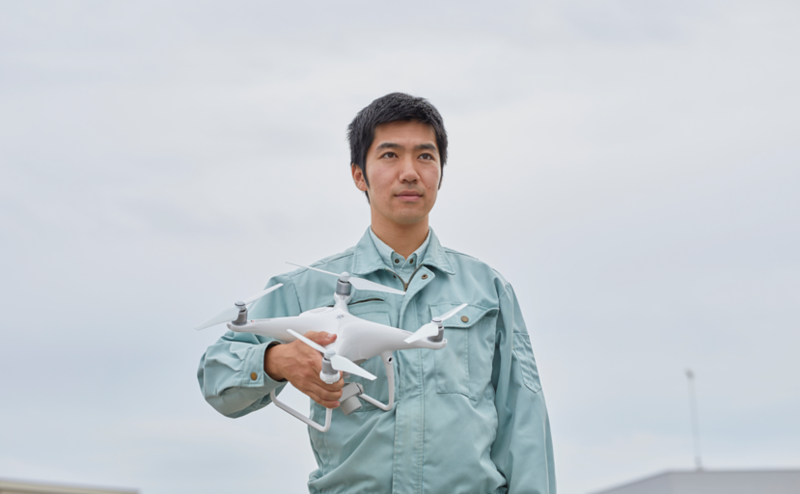 We believe we are now empowered to see new business ideals and new ways on how to realize our businesses by implementing the drone solutions provided by V-Cube Robotics. "Back in the days of analog cameras, we were always anxious because we won't know if the site photos are well taken until they are developed," says a veteran employee. Today, taking pictures using digital cameras are all too common and we really appreciate the convenience of being able to check the pictures right after they are taken. Accurate and clear communications are a must at construction sites building high voltage power lines and steel towers where rapid communications are required on the ground as well as on steel towers. Failure in communications may lead to serious consequences. We firmly believe that implementing V-Cube's web conferencing systems and using it together with drones is not only more convenient for us, but also improves our safety. 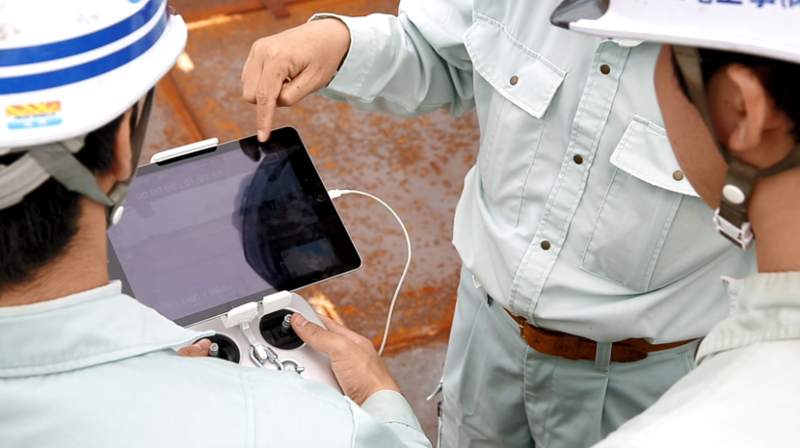 Leveraging the video transmission technology also allows us to see the situation at sites in real time even from a far-away place, for example from our Tokyo office. We strongly believe that we are able to contribute more to high voltage power lines and steel towers construction with the synergy from drone mobility and the systems provided by V-Cube Robotics.